Hello everyone, and a happy summer-fall to ya! Feels like both, doesn’t it? This past week I actually started a fall AND Christmas DIY! But my schedule got interrupted when Walter the pruner drove in the driveway with his excavator and big empty truck. 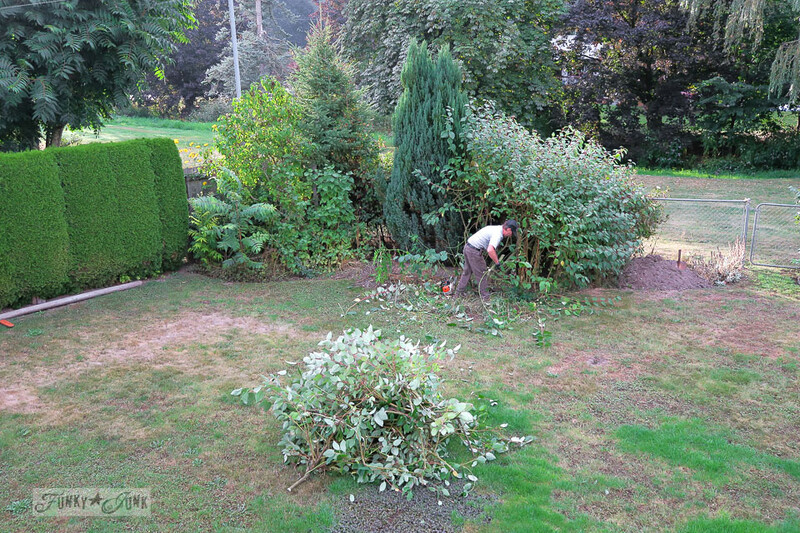 Off we went… for we had a very busy mantra of downscaling 3 flowerbeds I could no longer keep up with. Pretty big results found HERE. With plenty of sore muscles to prove it. 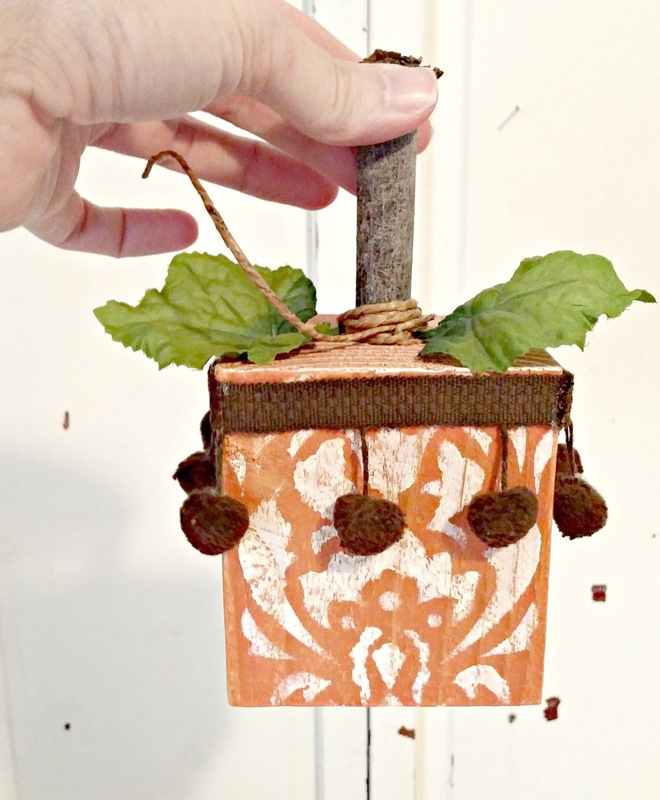 This sweet project gives you the PERFECT reason to vignette all the little pumpkins and gourds you can get your hands on! I’ve never met scrap wood I haven’t loved, however this plain BLOCK turned boho chic is over the top adorable! Would you look at that texture?! I’ll take the rusty horse shoe pumpkin too! 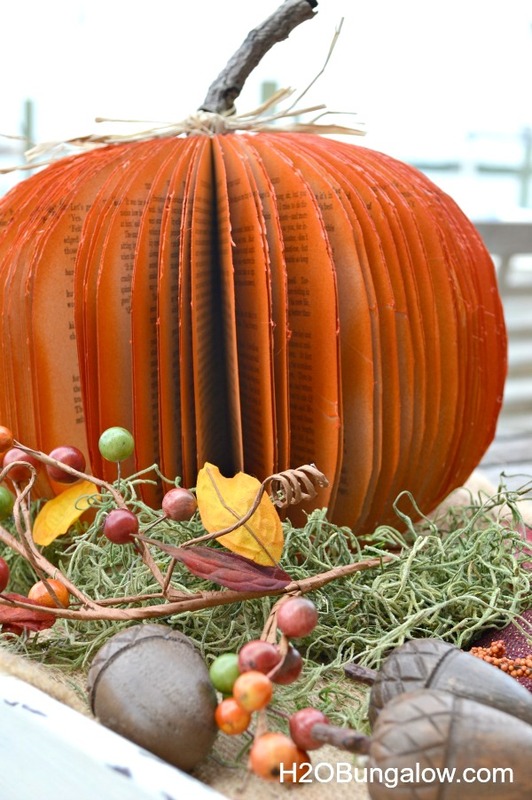 This book pumpkin is such a visual treat for the eyes.The raffia and stem offer the perfect finish! What a pleasant rustic surprise! And after the wine’s gone, add shelves for another use! Or buy more wine, you pick. 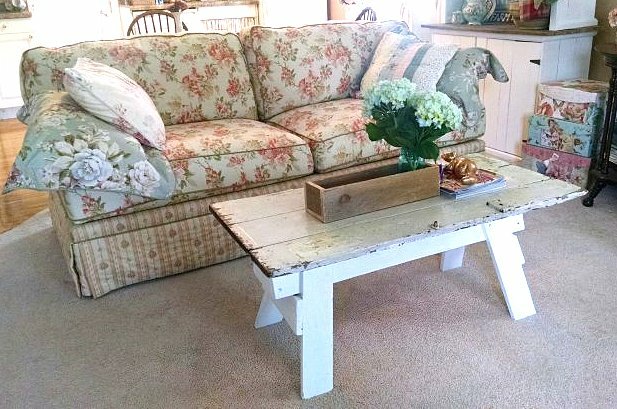 Love this sweet sawhorse turned farmhouse coffee table. Timeless! 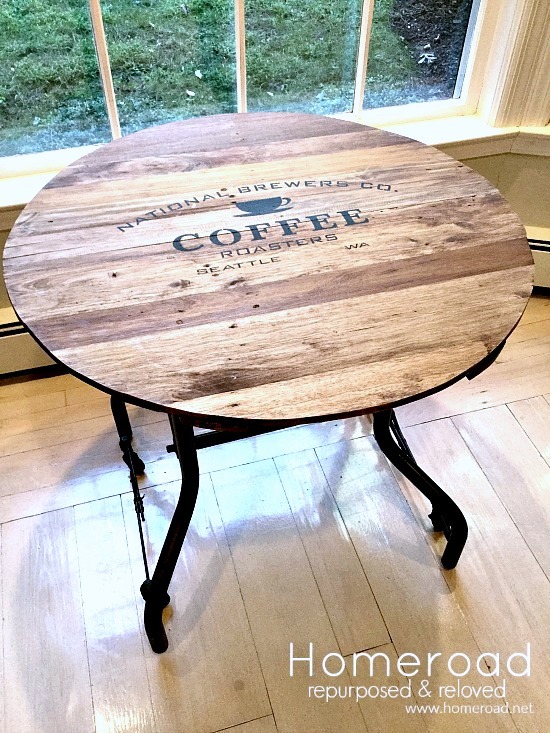 What started as a tray revamp, resulted in one fabulous accent table! 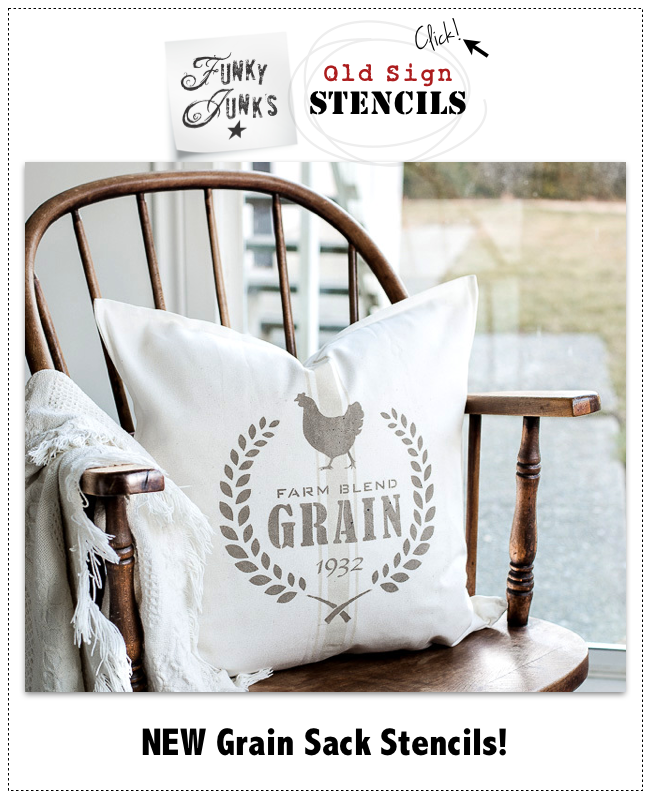 Oh my… I mean, that woodsy finish is perfection for that coffee crate styled stencil! 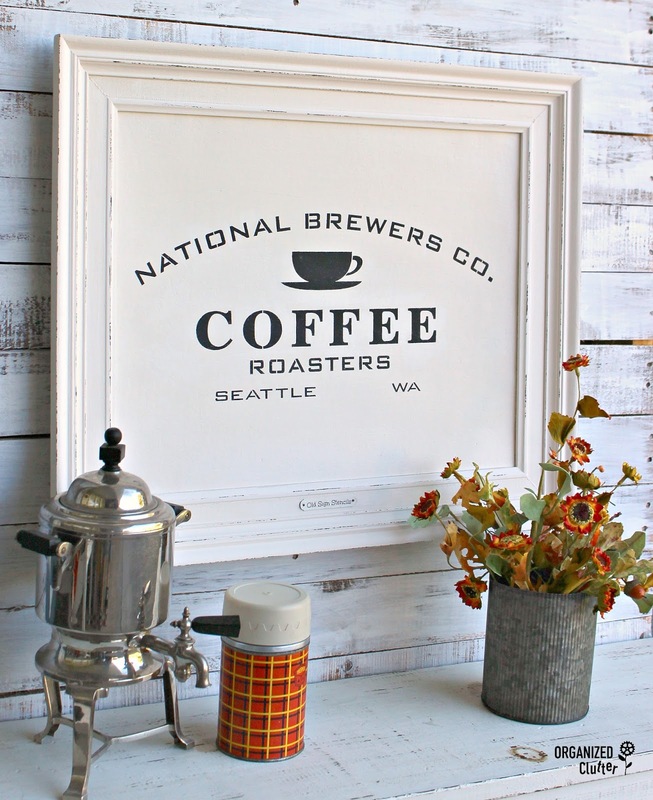 And just to prove that coffee stencil can also look glam, frame it up in striking black on white! 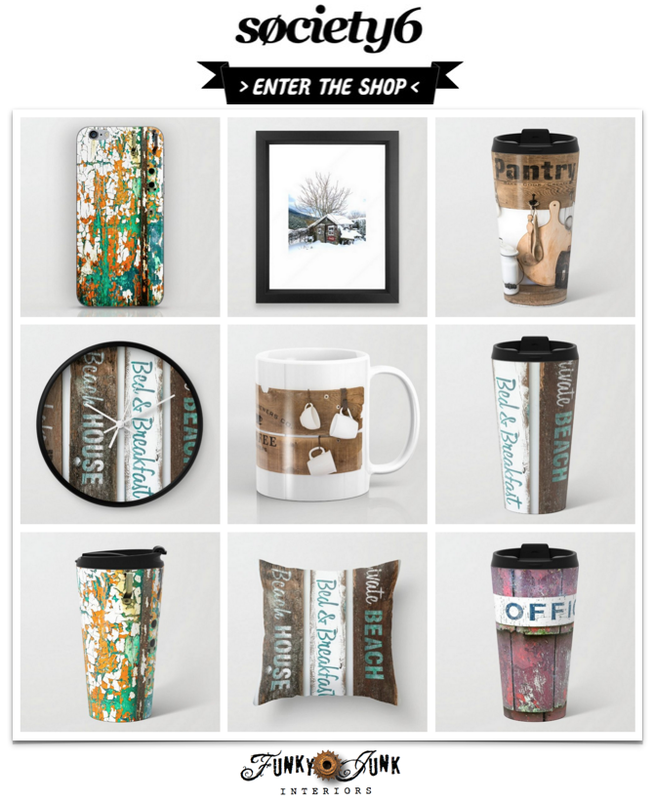 Love the little perk and thermos… swoon. 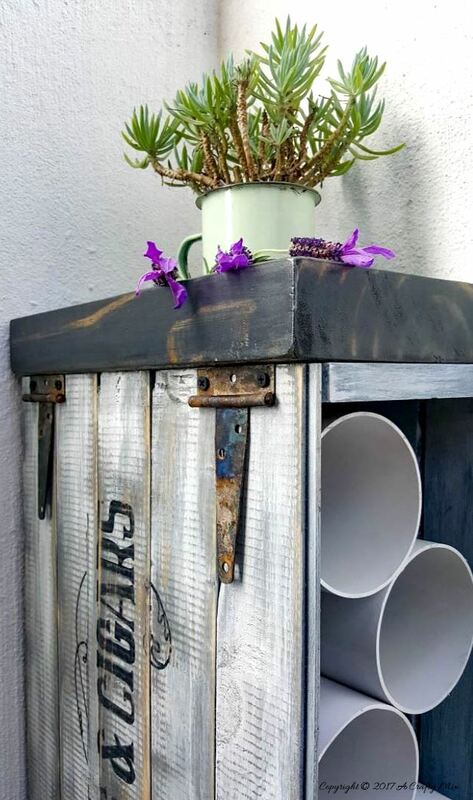 Thank you Donna for your 394th DIY Salvage Junk Projects, look forward to see what others are sharing each week. 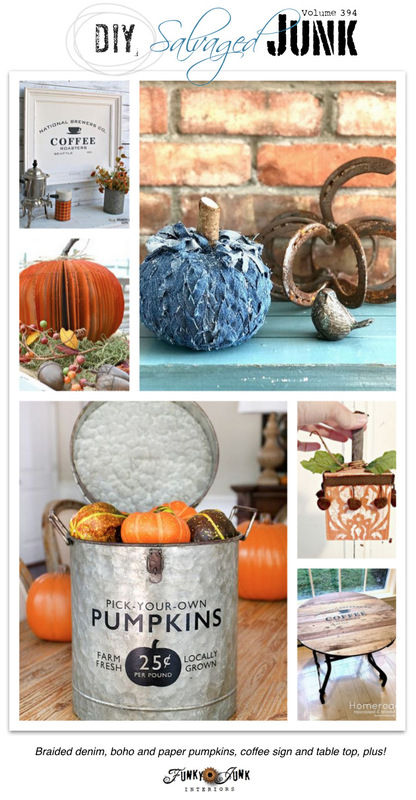 I’m loving this weeks features especially the denim pumpkin. I hope you are having a lovely weekend. I’ve had my morning breakfast shake while perusing the party. Something I look forward too each Saturday morning. Enjoying the sights and wonders of redo and feeling inspired. Thanks for the party. P.S. At this time, all I have is grass in my yard. 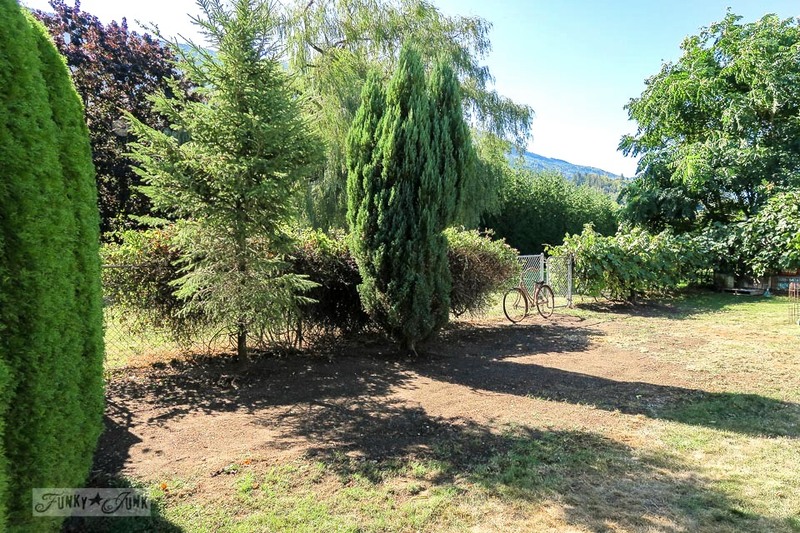 Every time I think about getting in some landscaping, I can’t help but to also think about the upkeep that will come along with it. So, I continue to keep things minimal in my yard. I feel where you going with yours. 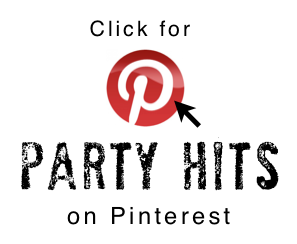 Thank you so much for featuring my wood scrap boho pumpkins and for yet another wonderful party! 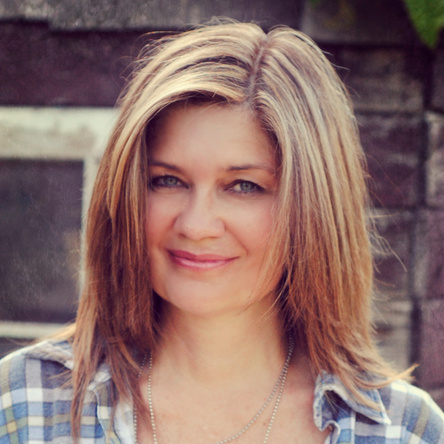 Donna, Love the features this week! 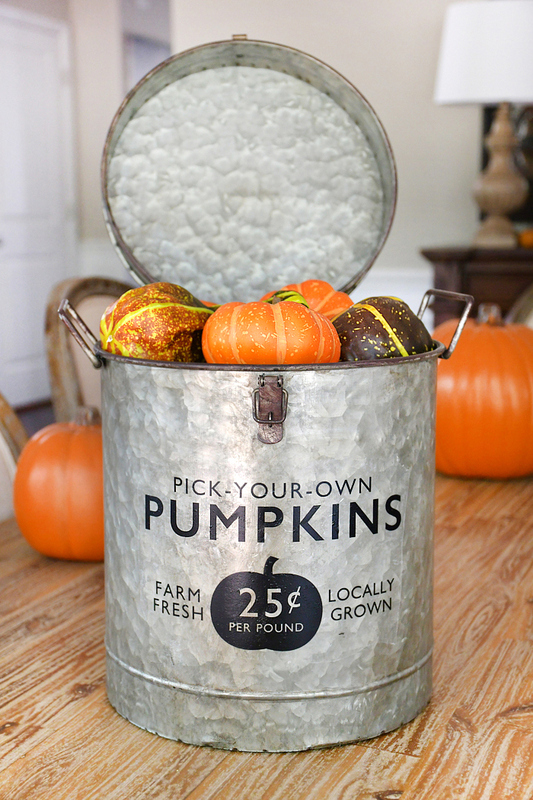 Makes me want to get my pumpkin on! That book page pumpkin is definitely in my future. You’ve got the best of the best, seriously!Have a great weekend! Oh my word! 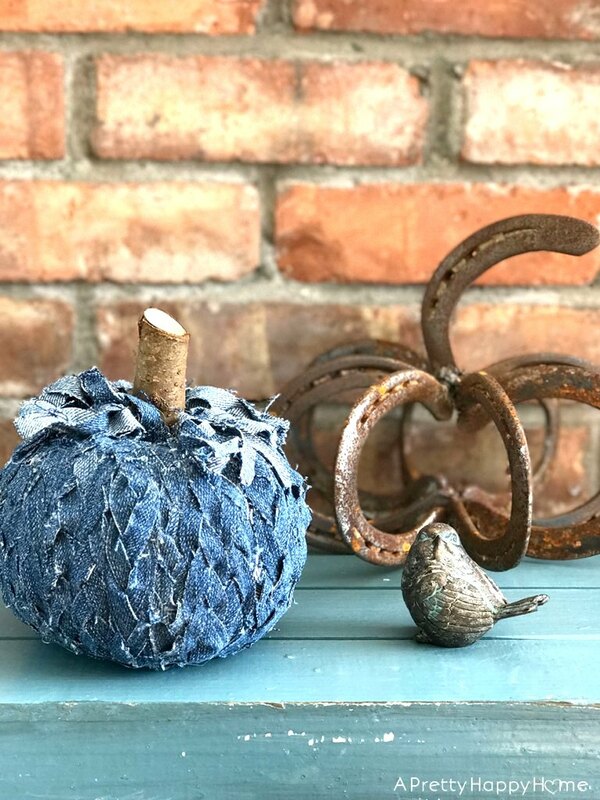 Thank you so much for featuring my braided denim pumpkin today! I love your site so much – it is full of inspiration from the projects to your real life bicycle rides! You made my day! 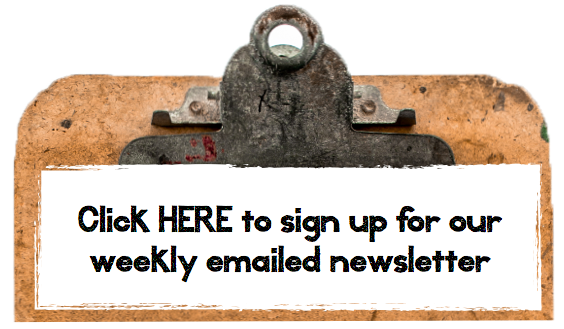 Thought while I was here I’d check out this weeks features, as usual you picked good ones.